Minisa Robinson was born and raised in the mountains of Colorado. The daughter of a professional fine artist, she grew up knowing a love and respect for art. Minisa spent most of her life developing her artistic skills in many different types of media including oil paints, acrylic, watercolor, graphite, ink, and more. 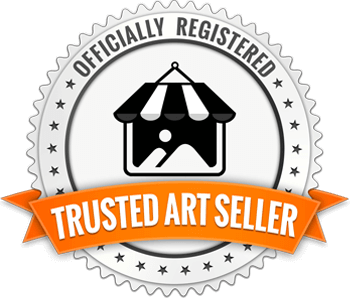 She worked for 12 years as a graphic artist and publisher before becoming a self-taught pyrographic artist. Using a hot metal tool and a steady hand, Minisa burns realistic images onto unfinished pieces of wood. Her artwork reflects her appreciation of the Rocky Mountains and the wildlife that lives there. Minisa has recently started painting with alchohol inks as well. The bright and vivid paintings lean towards abstract but offer a colorful vision that is often open to interpretation. The term means "writing with fire", from the Greek pur (fire) and graphos (writing). It can be practiced using specialized modern pyrography tools, or using a metal implement heated in a fire, or even sunlight concentrated with a magnifying lens.